Taste test: These are very tasty wide-rippled onion and garlic chips. 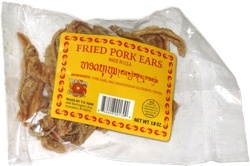 They've got a mild, sweet onion flavor and some garlic taste too. At first, the onion seems to overwhelm the garlic, but you notice the garlic more in the aftertaste. 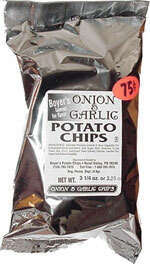 The wide-rippled Boyers chips all have a great soft crunch. Smell test: Sort of an onion smell, not strong at all.